Our first regional collection was inspired by iconic wedding venues in and around Brooklyn, New York. 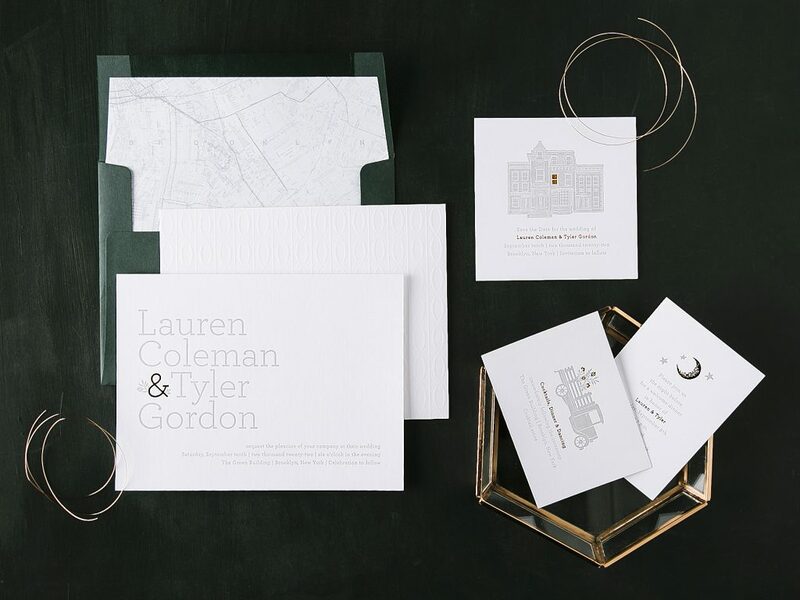 The collection of 12 wedding suites and 11 stand-alone save the dates features hand-illustrated artwork, new paper colors, and plenty of nods to New York. We’re excited to feature a glimpse into the collection below. The rest of the regional designs from the collection can be viewed on our website here. The Lucent design was inspired by the Weylin, a renowned Williamsburg Savings bank restored into one of the most prevalent community centers and wedding venues within the city. The design features hand-illustrations of the building as well as its intricate ceiling. Our new papers take the stage within this suite including our Bella Rosebud and Bella Old Rose. The Liberty Warehouse is a popular venue with expansive views of the New York Harbor. Our Warehouse design features playful illustrations of the skyline that would be seen from water’s edge while at the venue. 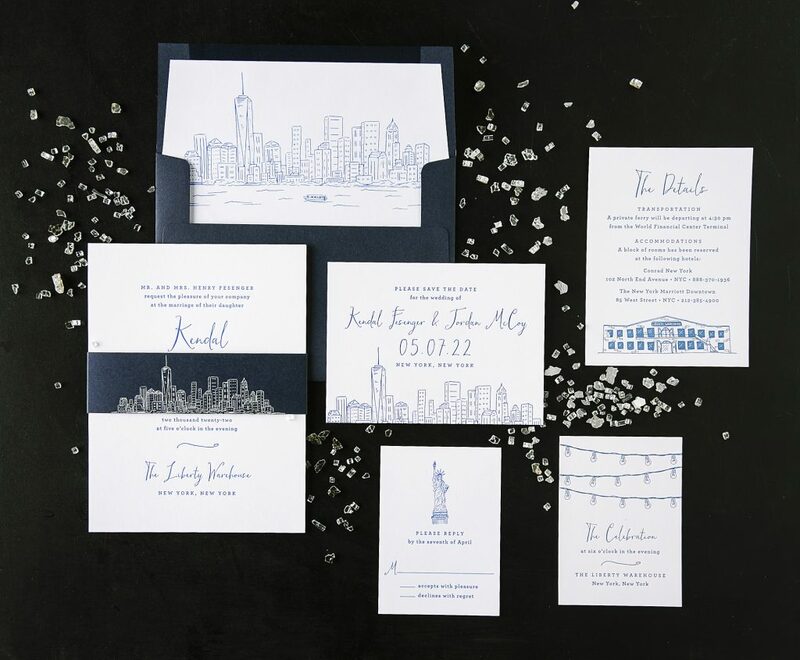 The set is printed in Cobalt ink and paired with a belly-band using White Matte foil to make the skyline sketch pop. Inspired by the Brooklyn Winery in Williamsburg, the invitation itself is reminiscent of the wine labels found at the venue. 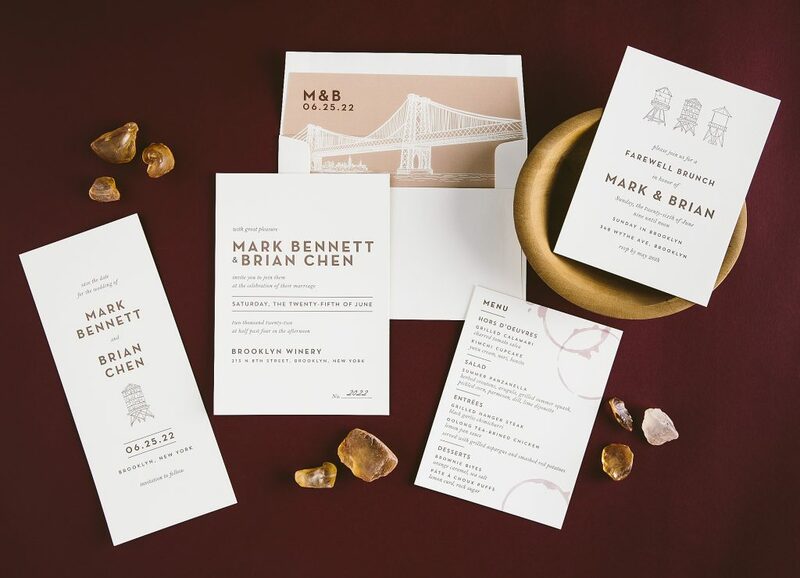 The set features clean typography in Umber ink and vintage wine-inspired accents throughout. Hand-illustrations of the Williamsburg Bridge and water towers add an extra touch of Brooklyn personalization. The Green Building is another restored Brooklyn venue complete with exposed brick, beamed ceilings and rustic touches throughout. Our Edison design reflects the space with its whimsical illustrations, like a truck reminiscent of the one that sits outside the venue. 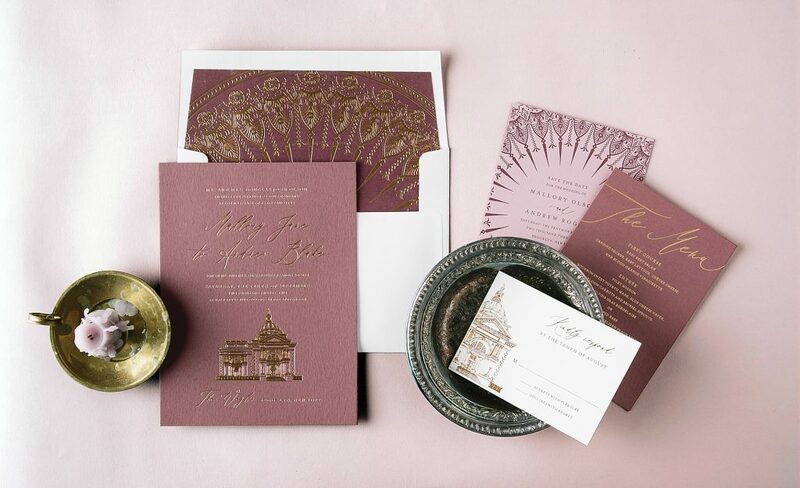 Bella Holly paper adds a touch of color to an otherwise neutral color palette with accents of Copper Shine foil.